The two cherry laurels (Prunus carolinana) included in the Audubon House landscape were inspired by the cherry laurels that grow in the mesic hammock at the Oslo Riverfront Conservation Area, where they now are flowering. A member of the rose family (Rosaceae), cherry laurels have elongate clusters of creamy flowers held amongst its leaves. Flowering occurs from February through April, and its flowers are especially attractive to native bees. Its ripe fruits are black, fleshy, single-seeded, and often persist from the prior year through the winter. Birds consume the fruits and spread the seeds which germinate readily. 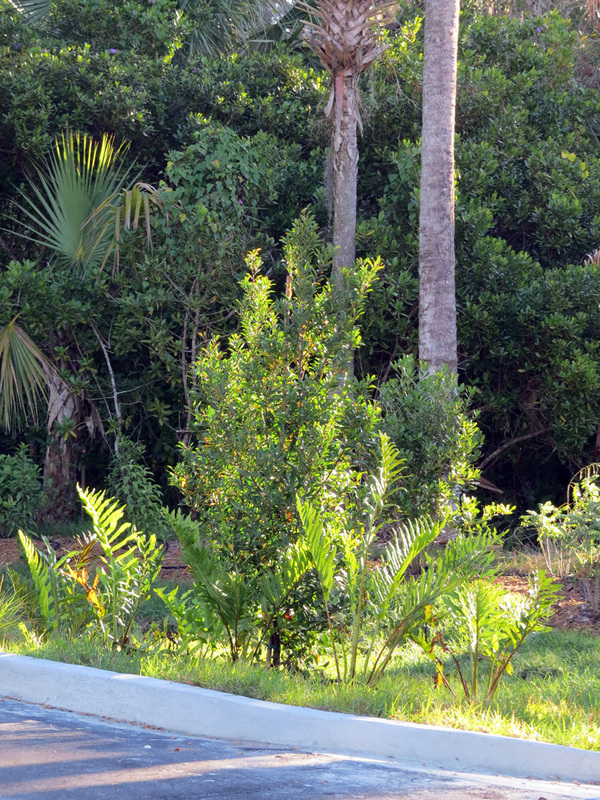 Seedlings often are found underneath bird perching sites. 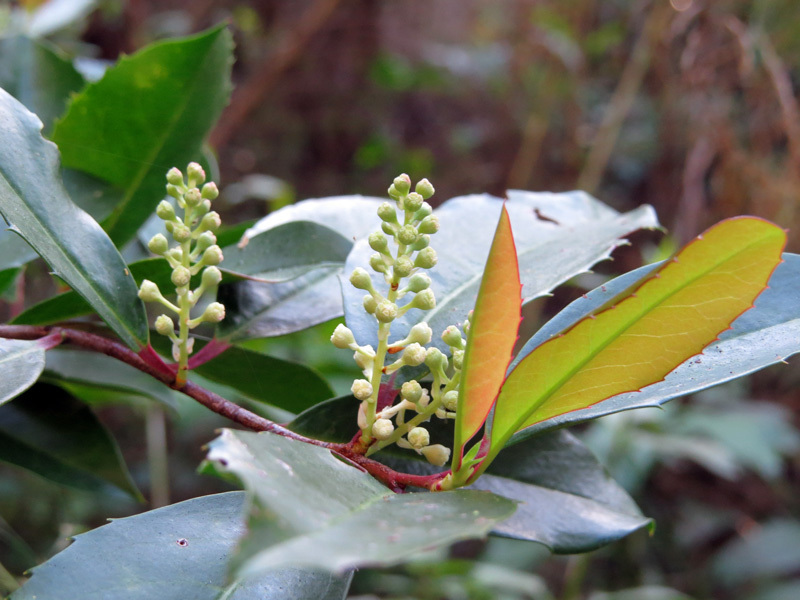 Densely foliated in full sun, cherry laurel has dark green, glossy 2-4” elliptical leaves. Its leaves, twigs, and seeds contain hydrocyanic acid and should never be consumed. Crushed leaves emit a faint fragrance of almond (or marzipan). 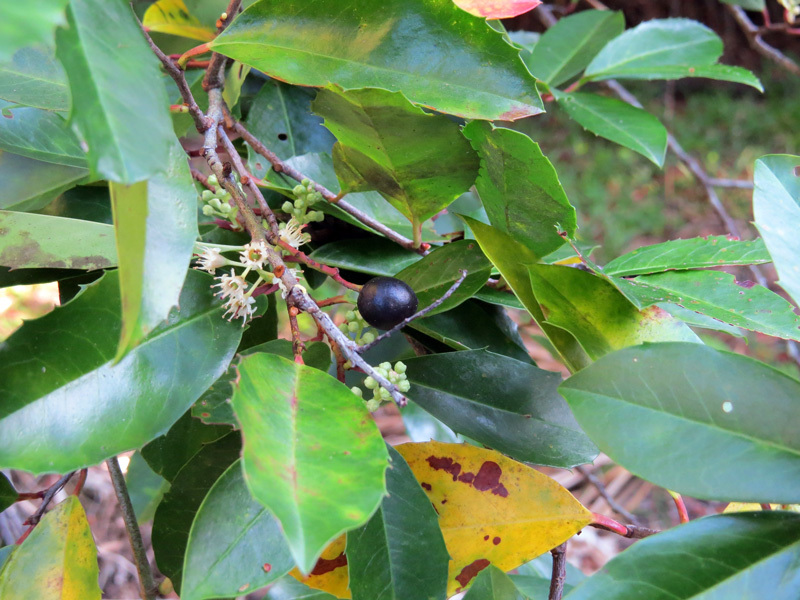 A fast-growing small tree (to 25’), cherry laurel is drought-resitant, has few insect pests, grows in acidic to slightly alkaline soils, and tolerates full sun or partial shade as in the hammock at the Oslo Riverfront Conservation Area.